The Jespi has multiple indoor and outdoor usages. It is often used for moving luggage and other goods in transportation facilities such as airports and is suitable in the handling of stocked pallets and for clean-up operations in large parks and gardens. 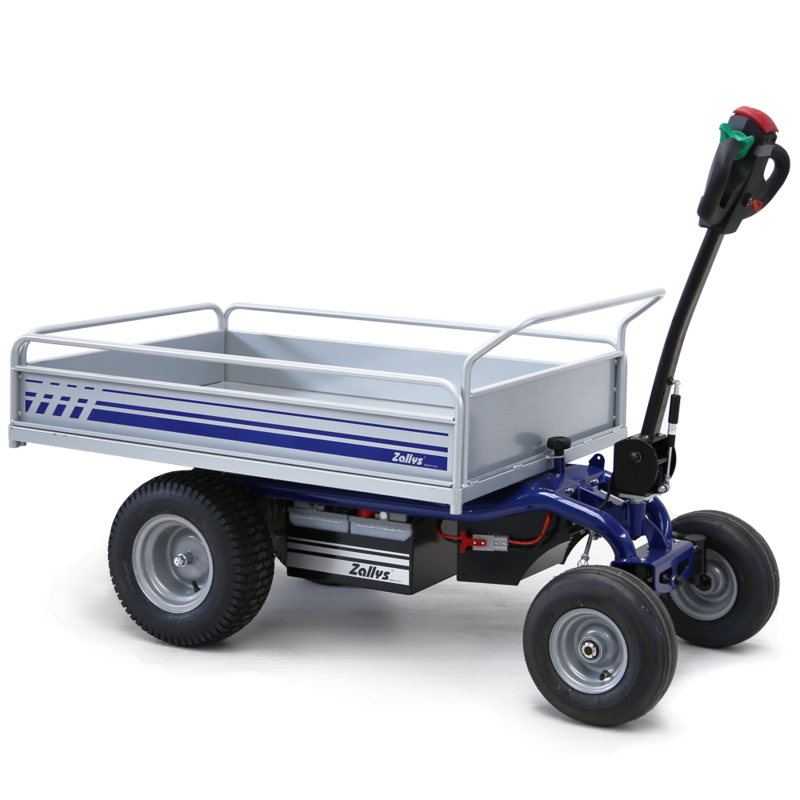 This electric platform trolley can be equipped with many accessories and flatcars. The tiller arm folds back over the machine to take up minimum room, and the swivel tiller head is equipped with a safety sensor. Drummond Equipment Inc. is an authorized distributor of ergonomic, user-friendly electric vehicles, dust suppression hoppers, and bulk material handling and flow aid equipment. We solve flow problems using industrial vibration & silo cleaning technologies from the quality suppliers we represent. If you require conveyor belt carry-back reductions, or load-zone transfer-point improvements, we can assist based on our many years of experience with a variety of resource industries. Our Head office and warehouse is located in Mississauga, Ontario with a regional office in Pointe-Claire (Montreal), Quebec. Drummond is a Canadian company ready to serve your needs. © 2015 Drummond Equipment Inc. All Rights Reserved.